It is interesting that people throughout the world have been trying hard to invent a common language that everyone would use – Esperanto – but it didn’t take very successfully. Meanwhile, the emoji language spread so naturally since the 1990’s that most people who use electronic devices are familiar with it. 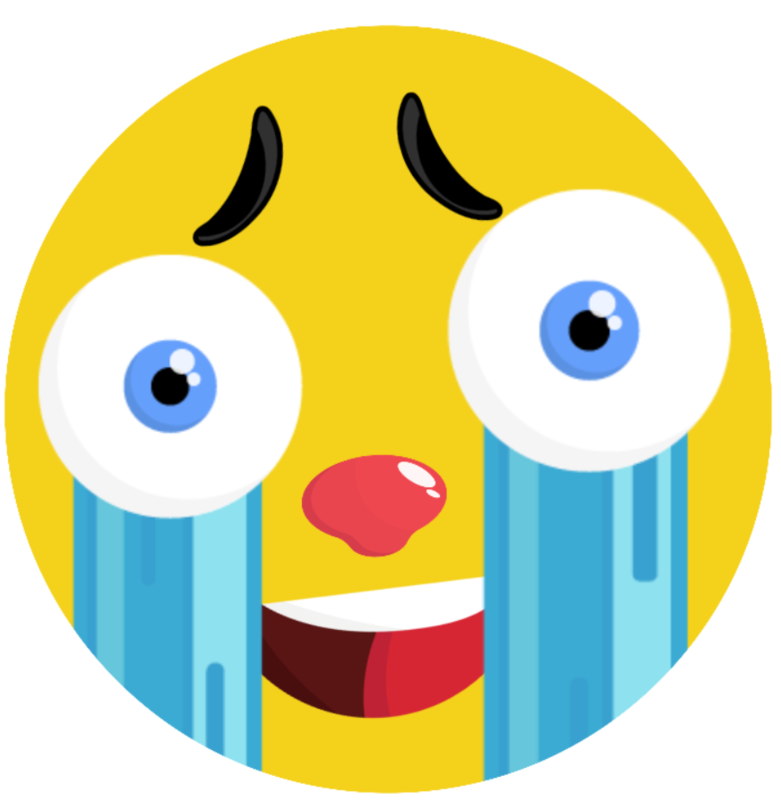 So, following this popular trend, the Labeley team decided to create a new label design category, which would allow its users to create fun, up-to-date emoji stickers for all occasions. With completely new shape templates and design elements such as eyebrows, faces and glasses, users can have a new and even more entertaining experience with our online label maker than ever before. Start by choosing one of the label shapes on the left. Next, go to the Background feature and pick a color for your label. 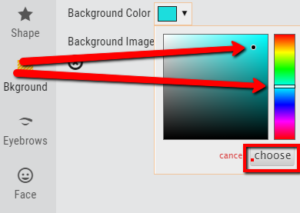 You’ll do that by scrolling the color palette and clicking on the color you like, and then by moving the little black dot on your chosen color square to choose the right hue. When you got it right, click on Choose. Now have fun going through the Eyebrows, Face and Glasses options. You’ll find lots of designs for eyes, mouths, noses, eyebrows and glasses that you can play with until you’re happy with the outcome. Each design element can be resized and repositioned using appropriate arrows, as shown in the image. Once you’re done with the emoji face, go to Text. Click on the Create Text button and all the options will appear: the box where you should insert your text, available fonts, color, font style and font weight. Once you type in your word in the appropriate box, it appears on the labels. There you can move it with your mouse, and use the same reposition and resize arrows that we mentioned in the previous step. When you finish, click Done. If you have some photos or design elements on your computer that you would rather use than the ones Labeley offers, you can click on the Upload option and upload any photo you want. That way you can fully personalize your emoji sticker. Finally, save the design to your Labeley account or download it on your computer. 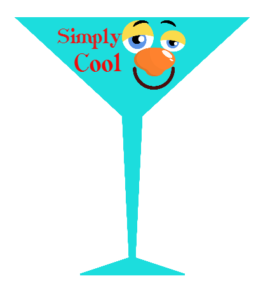 If you’re having an office party, it would be a great idea to print these fun emoji stickers on quality material and apply them to party accessories, bottles, glasses, etc. 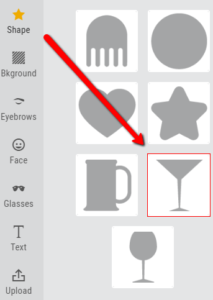 Explore different ideas for how to use your very own printed emoji, and in the meantime practice perfecting your label design skills with Labeley!